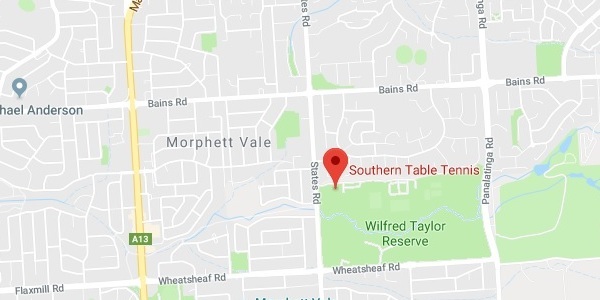 Southern provides social and competition Table Tennis for people of all ages and abilities. We have 11 permanently set up tables in an air conditioned Stadium. Feel free to drop into any of our social sessions on Monday and Friday nights or Tuesday and Friday mornings. 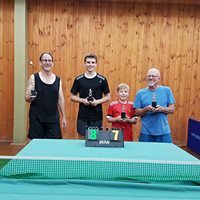 Junior coaching and competitions are held on Tuesday nights. Wednesday and Thursday are our competition nights. Full details of our Opening Hours are on our Centre page. The winter competition will run from the 8th of May until the 22nd of August (14 weeks minor round and 2 weeks of finals). Entries close 26th of April. Players can nominate to play on either Wednesday or Thursday nights and if you are really keen you can play on both nights. If you know anyone who might be interested please encourage them to enter. Please note that payment is due before you play and can be paid by card at the hall or online. 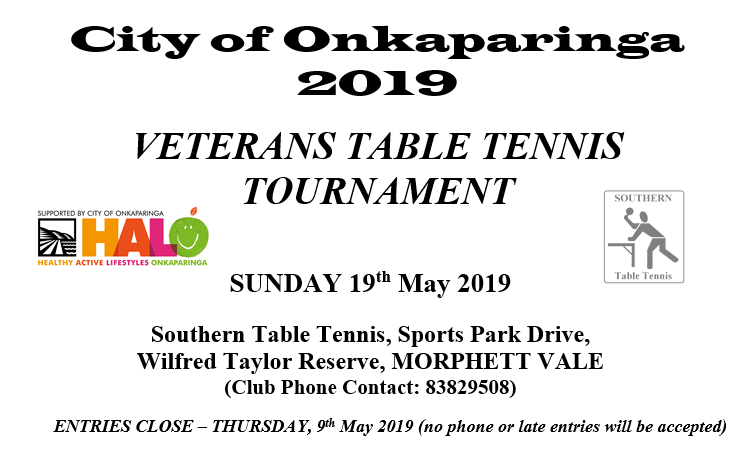 Southern Table Tennis invites veteran players (over 30) to participate in the City of Onkaparinga Veterans Tournament on Sunday, 19 May 2019. Entries close on Thursday, 9th May. 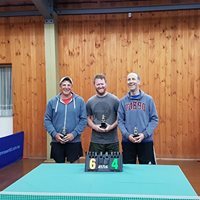 Southern Table Tennis acknowledges event sponsor the City of Onkaparinga which makes it possible for competitors to receive free bottled water, fruit and tea & coffee on the day. The appended entry form is a smart pdf, open it in Adobe Acrobat Reader to access full features of lodging the form. The teams for the STT 2019 Summer competition are now available. Please take note of who your coordinator is and let them know when you won’t be able to play. 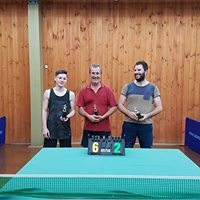 The competition fees are due by the first week of play and can be paid online to Southern Table Tennis Association Inc BSB: 325185, A/c No: 02204430 and send a confirmation email to president@southerntabletennis.org.au. The fees are $72 adult, $61 concession and $42 Juniors. Don’t get caught out having to pay the late fee. We hope you all have a fun and competitive season.